the retained older browser version. and gmail does not exhibit this dysfunction. There, search box renders as flexible space. 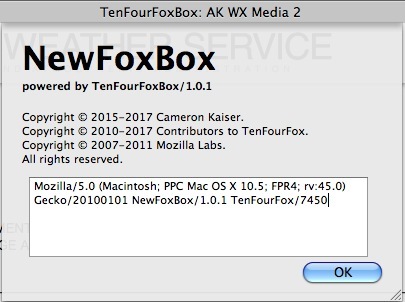 direction in running FoxBoxes. 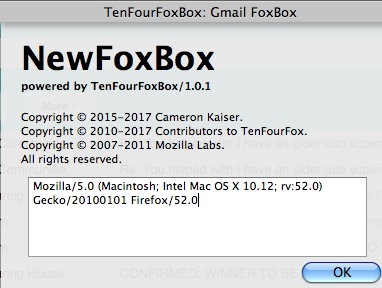 Other issue when using Fox Box for Gmail remains. + contents. 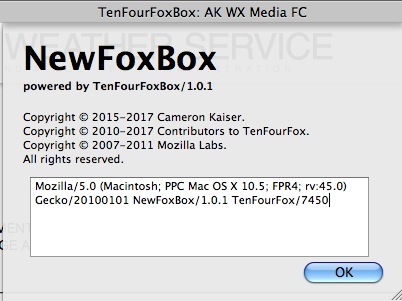 Not sure how I ever got one that gives me user Avatar icon to exit FxBox. seem to prefer default and defective code for creating bad box that does not allow Log out. And had noticed previous inquiry went w/o reply. As time goes by, the issue only snowballed. populating most Apple site pages.} Tiny box icons remain. Thank you for your time. These has been an issue since Sept 2017.
of main login bar, especially in 12-inch iBook G4; in standard resolution. with numbers inside. Note the screenshot from Apple Support today. Mac? ~ A curious lack of response from Staff tells me more than words. Thank you for your good work, even when there are glaring flaws at times.